Quick note: OK, this read me file is incomplete, not gonna list everything here. This is Schwaa's final F'N around with Dromed. My latest unreleased stuff that I figure I might as well get out to the community at some point. Oh well, Darkmod is gonna rule, just you wait. For anyone who still uses Dromed hopefully this stuff will come in handy. What I will say. Evrything works like it should for the most part in Dromed. Take a look there if you want to figure out how something works. This tex file is outdated, it lists probs that I don't believe still exist, like I said , the cow file works and is a good reference. **electric lights that can be broken to be put out, I'm quite proud of this achievement, took awhile to get right. due to massive replacement of spider joints. If anyone wants to debug (pun intended this time) I included a 3ds file. **decoraticve screen wall, jointed so it can be positioned as desired. Need to add invis objects for proper shape. **skully crawler, bins included. Never could get it to troll, too many joints or polys. It will crawl in a straight line though. This DM is not meant to be played from Darkloader, and is for dromed use only. Also, the readme is slightly out of date - he did get the ant working correctly. If you were one of the three people who downloaded this before the down time, you'll need to get it again. That file was broken. Sorry! 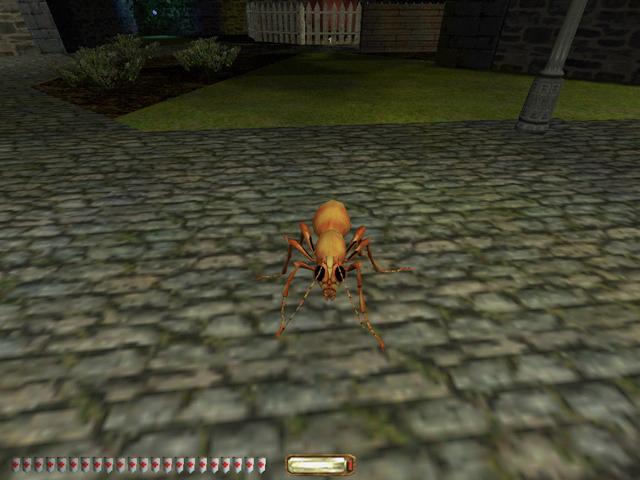 The murderous ant. 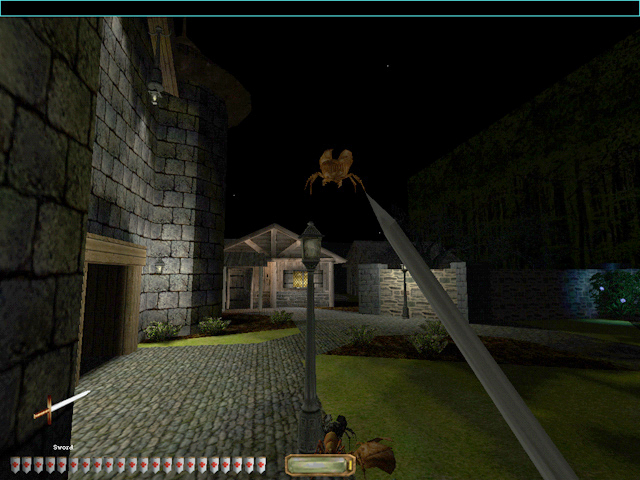 The movement of the bugger is a bit dodgy, but the animations for the attacks and jumping is spot on. The beetles/scarabs come in many more colors than you see here. Like the ant, the animations for these guys is very well done. The flapping wings is excellent! The 'flight' is just the jumping like a spider does, but it's much more convincing. The new streetlamps come in many varieties. The interior is animated with arcing electricity. Just apply sword or arrow and watch the fireworks! A still image doesn't do it credit. Sparks fly as do glass flinders. These houses are all objects. They're modular, allowing for different combinations and arrangements. Frob the flowers to pluck them. Sadly, in the demo, they do not go in your inventory. Oh wait, this is the demo thing, okay! Whoa This insects looks very cool! And the lamps! Very interesting. As I'm at the beginning of work on new mission including some city area they might find their place there. And even if they won't it looks like great gift for FM designers anyway, much work was done. those bugs are really lovely ! good for some crypty missions ! 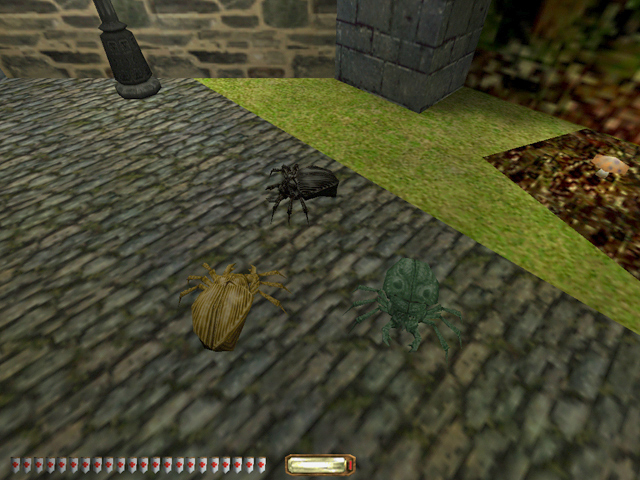 the bugs use the small spider anims/joints. I think the ants 'dodgy' behavior is probably a few things. I had to manipulate the joints quite a bit to match the legs as close as possible. The mandible joints got moved ALOT to control the antennas, the back leg joints got shrunk alot to be out of the way so the are in a weird spot. The read-me for the lights is a bit out of order (I lost the newest addition), they are 'self contained' (don't need a 'glass crate') and once made in the gamesys they are ready to go, the first incarnation took alot of extra stuff like a invis glass crate to take damage and break. NV helped alot with technical knowhow. 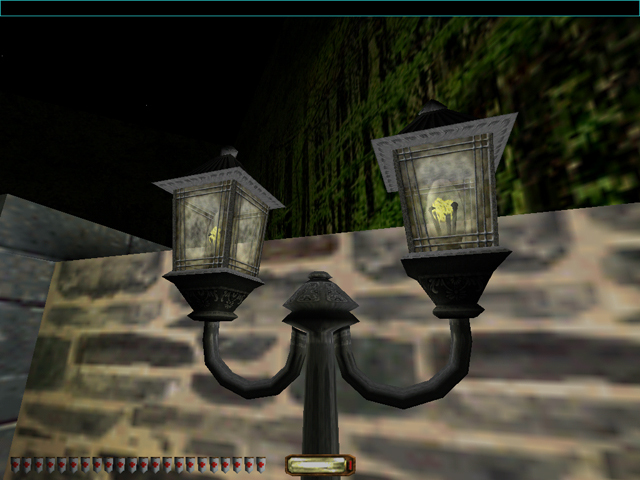 You will see those lamps in Darkmod, although I have improved the textures and they have bump maps. The breaking part most likely will not work on Darkmod release but I will get it working afterwards most likely. It's all S&R stuff. I got the old Necromancy warning before posting this. But I just saw the thread when looking for something else. These objects are amazing looking. I can't wait to try out the lights in the fm I'm building! It must have taken a lot of work on your part to make these for us. Thank you! I'll send you a note when my mission is getting ready for beta-testing. Maybe you'd like to see your objects in use before it goes out, and make sure it all looks and works the way it's supposed to. Kinda sad you're leaving DromEd. I'm not ready to go over to the Dark(Mod) side yet. Too much left to do here, first! Last edited by redleaf; 29th Mar 2008 at 05:34. Reason: Schwaa leaving Dromed? Can someone rehost this? Pretty please? Is the "Massive Documentation" someplace too? Is there any way I can get my hands on those house objects? Download the demo & look in the OBJ directory. 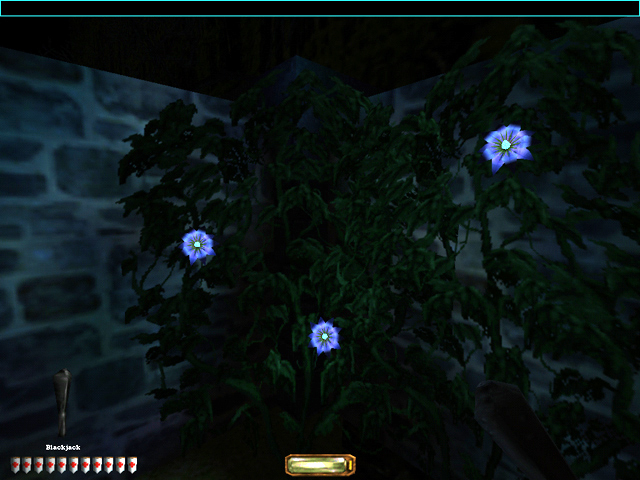 Those bugs are really gross, and made me wish for a big can of Raid The houses look really good, and the blue glowy flowers are just cool. I did, but I assumed that since it was listed as a separate file to download that it was different (more massive?) documentation. Neat. Where can I download this? It's nice that someone created some house objects. 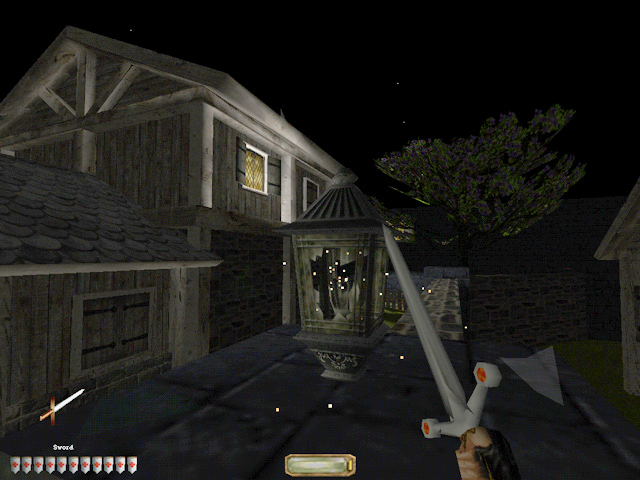 Those objects are rare but useful since the player doesn't need to have access to every building. 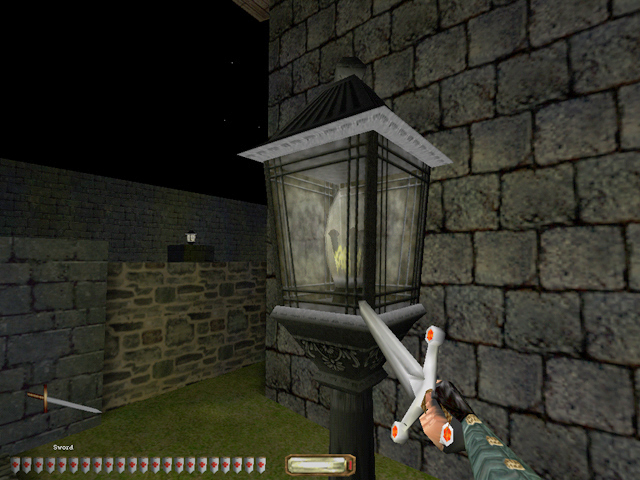 They can even be placed in surrounding zones which the player can see but not reach. To me as an European they look more like a farm out of a wild-west movie, I would rather use buildings with an old-fashioned style which fit into a town with T1 atmosphere. How about that? They don't need to be that high and they don't need to have building extensions ... I just mean the middle age style. 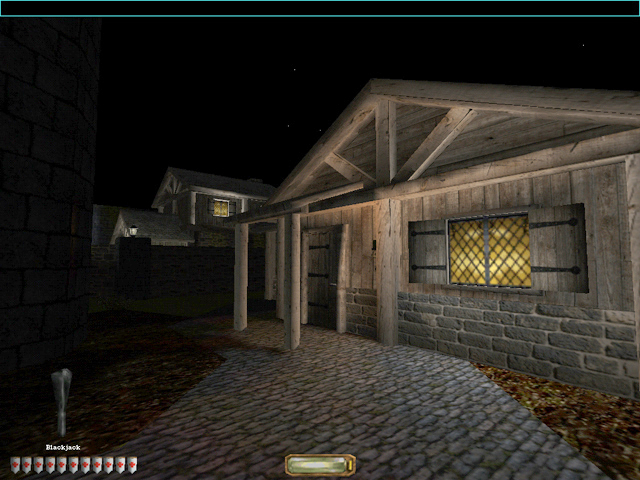 I know, DromEd offers a few buildings but they don't combine newer textures and they don't have entrances. Last edited by zappen; 24th Nov 2009 at 15:19. I haven't modelled anything for Dromed in quite awhile. This pack was just to release the last things I had done. You should post in another thread, there are currently some other modellers who'd probably make something like that. Well, the wings are a seperate attachment. So yeas they can have no wings. As far as walking around quietly you'll need to set the team to nuetral I beleive, then they won't attack you or Ai's. eidt- I'm not gonna fix my transversed vowels, I'll just note that my typing is terrible. Has anyone gotten this to work in 1.19? I tried it and it just crashed dromed. I do have a copy of thief 2 1.18 though, so I could just go open it there.